See the highlights of Limon on a full-day tour. Set off from your meeting point and visit a local fruit stand. Then, head to the rainforest to learn more about the area’s biodiversity. 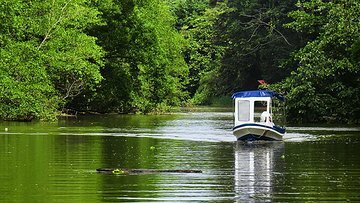 You’ll also visit a banana plantation and explore the Tortuguero Canals, which teem with wildlife and vegetation. Finally, take a city tour of Limon with a stop at Playa Bonita.